Annual Arts Festival in its 27th year, with a variety of vocal and instrumental music, jazz, brass, literary lunch, art and craft exhibitions. The WI and Meirionnydd Artists will exhibit their crafts and work also. 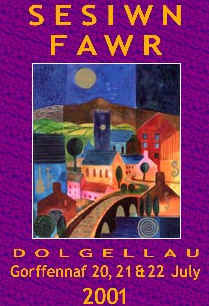 'Sesiwn Fawr' translates to 'Big Session' - which is quite a literal translation!! !...say no more!